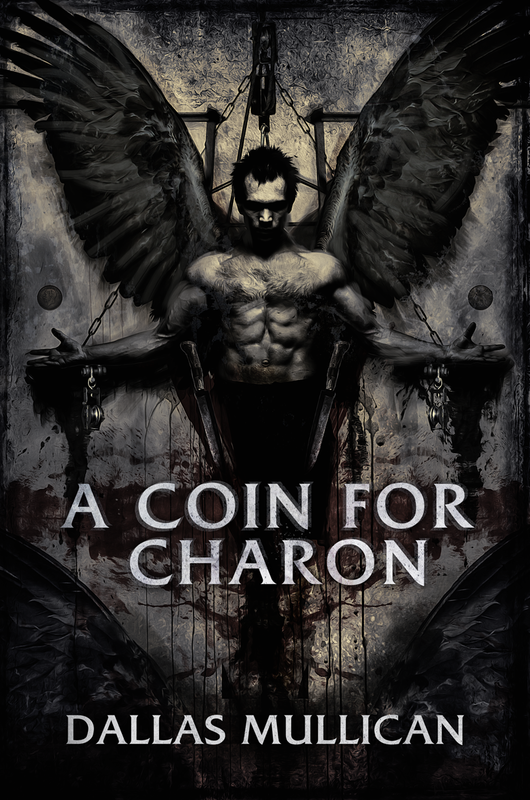 A Coin for Charon is Dallas Mullican’s debut novel, a psychological thriller detailing the lives of four people and how they intertwine. An exciting and well-paced page-turner, the first novel in Mullican’s Marlowe Gentry series is heavy thematically. Suicide, hope, and how our past experiences have molded us, are all present in a story that packs enough emotional punch to knock the wind out of any reader. Marlowe Gentry is the best detective in the homicide division. His daughter hasn’t spoke since the brutal murder of Gentry’s wife and the man’s all but falling apart at the seams when the sudden onset of murders by a maniac dubbed the Seraphim Killer throws him headlong into another case. Gentry’s will to catch the Seraphim killer is fueled by his rage and depression over the loss of his wife. Will Gentry catch the killer or will his life continue to spiral tragically out of control? Max Bannon has been diagnosed with cancer. His wife has taken his children and left him, the chemo isn’t working, and to make matters worse, he’s starting to see things. Max’s hallucinations make what already seems a tortured existence a living hell and he can’t take it anymore. As Max gradually loses his grip on reality, he seeks a way out and he keeps hearing about a new serial killer in the city, a killer whose victims are those who already want to die. Becca Drenning just wants to escape. Her husband’s temper and routine beatings keep her living in fear. As a psychiatrist, she spends every day telling her patients how to continuing fighting on in life, but how can her words ring anything other than hollow when she doesn’t believe them herself? Gabriel is the Seraphim Killer. Under the belief that he’s doing the work of gods, his victims are those contemplating suicide. A kind-hearted soul with a peculiar vernacular, Gabriel just wishes to help those in need. But perhaps “the blessing” that he finds gracing his victims isn’t what he thinks. Perhaps his past, what he did and what he didn’t, keeps tugging at his psyche. And perhaps it is slowly unraveling. While at first glance one may think that Mullican’s published debut may be another tale of the detective with a troubled past trying to catch a killer, A Coin for Charon is much more than that. Engaging and full of emotion, this novel really tells the transformative story of four individuals. Mullican walks you through each character, fleshing them out and bringing them to life through well-balanced prose. He gives you four people that you can understand and root for…even when they’re committing heinous crimes. Mullican does an admirable job of juggling the storylines of these four characters, developing each with care and sending them on courses to collide, but his debut isn’t without a few hiccups. Gabriel is a killer that a reader can root for. With his troubled past and relationships with those around, we really get to understand him. But his method of killing, a gory ritual that combines Christian and Greek theology is never really explained. The reader gets to know Gabriel so well and yet somehow, his religiosity, the fundamental aspect of his murderous motivations doesn’t get the explanation it needs. Just as well, while Mullican’s prose is mostly on point, his dialogue gets a bit dicey at times; characters stating the obvious for the sake of the reader can pull you out of experiencing a good story. And while most of the characters storylines are wrapped up in a neat fashion, the ending doesn’t quite bat 1.000, falling short on a character’s end that doesn’t really coalesce with their climactic rise. Despite its flaws, Dallas Mullican’s first outing as a novelist, A Coin for Charon is an entertaining and enjoyable read. Mullican’s work can at times be wonderfully creepy and is enthralling from one chapter to the next, his focus on depression and coping with the actions of the past make A Coin for Charon an emotional rollercoaster of a first novel.